Besides popular tourist destinations of Uttarakhand, there are several other beautiful places also belong to Uttarakhand those are ready to give you memorable experience. These places are acknowledged as the hidden treasures of Joshimath you’ll desire to visit. Joshimath is not only a famous hill station but a pilgrimage centre and therefore massive crowd can be seen at this place throughout the year. In short, visiting this place can give you a unique experience and you’d love to save this experience for your entire life. 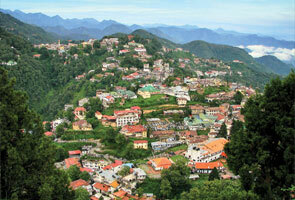 Situated at an altitude of 1,890 m above sea level, Joshimath enables you to explore majority of things in its heart. 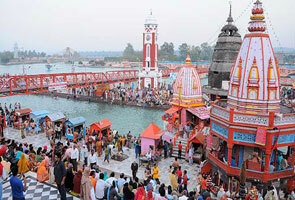 This place was established by Adi Guru Shri Shankaracharya and thus holds incredible religious significance. 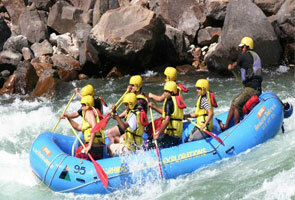 Besides, this place is also ideal for several adventure sports and activities that you’re allowed to enjoy during winter. Valley of flowers is also situated very near to Joshimath; so if your trip is going to Joshimath then you have to chance to discover and explore at Joshimath. Joshimath is otherwise recognized as Jyotirmath and this place is assumed as the home to one amongst the four cardinal pithas founded by Adi Shankaracharya. The place contains several must-t0-visit destinations such as Shankaracharya Math , Bhavishya Kedar Temple, Tapovan, Narsinh Temple, Ropeway etc. Joshimath is an unexplored beauty of Joshimath and weather of this place is pleasant throughout the year. 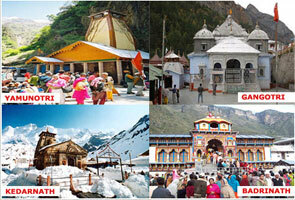 But the month starting from July to November is assumed as the best time to visit Joshimath. If you are planning to visit this place in winter then don’t forget to bring woolen collection with you. The temperature you can find at Joshimath during summer is mostly below or close to 32°C. Evening are more pleasant than day. As the name of Joshimath also comes under the category of popular hill station of India, hence you may find quite cold sometimes during summer also. Hence try to bring light woolens with you during summer also. Winter starts at Joshimath in the month of December and ends in the month of February. Besides, you can experience snowfalls at this place. So if you love snowfall then you can visit this place during winter too. Temperature you can find here during winter is close to 8°C. Monsoon usually starts at Joshimath from July and it ends in the month of September. Expecting heavy rainfall is not bad. Though the climate remains pleasant but sometimes you may face difficulty due to critical climate condition. We have described above specialty of seasons at Joshimath; choosing the month to visit this place is completely depends upon your choice and time availability. Cuisines facility at Joshimath is not bad as you’ll find few restaurants at this place. Food facilities at these hotels are extremely fine and mouth-watering as well. You’ll not have to pay much in order to grab the taste of these foods as these are available at very reasonable price. Shopping facility at Joshimath is quite good and you can find few handmade products here at very reasonable price. But going to Joshimath with the purpose of shopping only is a bad idea. Shopping should be your additional part while going to this spot. Grab the natural beauty of this place and make your trip so wonderful that you’d love to recap those memories in your entire life.